Thomas Nuttall, a devout Christian and member of the Linwood Avenue Baptist Church, was one of four young men arrested in June 1913 for resisting Compulsory Military Training. He was 21 at the time and with his elder brother was the sole supporter of his widowed mother. The young men were accompanied to Lyttelton by their mothers where the police handed them over to the military authorities. Two non-commissioned officers escorted the young men to the wharf with fixed bayonets, where they were embarked onto the Defence Department's launch to be taken to Fort Jervois on Ripapa Island. Some waterside workers and other supporters cheered the boys and hooted at the defence personnel. The police have just taken my son to prison for the second time for the same offence, viz., for refusing to sear his conscience by obeying the Defence Act, which he sincerely believes to be contrary to the teaching of our Master, Jesus Christ. He has been a prohibition worker, a Sunday School teacher, a lay preacher, and has sought all in his power to be a good son and a good citizen. Yet today, in a British colony, he is branded as a criminal. Thomas Nuttall was one of the group of 13 who continued to disobey orders, refused to carry out work that had military connections and went on hunger strike. The thirteen were then sentenced, by an impromptu court hearing held on the island, to an additional seven days of military detention, later reversed. I am sure all of us here thank you very much for the trouble you have taken on our behalf and I hope they [sic] will be successful… the letter you sent cheered us up very much, and we live on the expectancy of being released any day though of course we must not expect too much. . . . Fancy my letter being read in the House and at the Labour Conference. I must be making a name for myself. . . . When I get out it would be interesting to write an account of our varied experience it would fill a book, but the trouble might be that the people may not believe it all. . . fancy it's [a] month on Tuesday it seems a long time to us, but when it's over it will seem like a bad dream. Accompanying this letter was a carefully drawn up table showing the names of all the young men who had been held at Ripapa Island, 18 names in all, the date they were arrested, the length of their sentence, and the fines they had been charged. The length of sentence ranged from seven days to 49 days, while the fines ranged from £1 to £8.14. Without warrant of any description, we were summoned before our Magistrate, Mr T.A.B. Bailey, under circumstances which prevented the admittance of the public. The whole Court was dominated by the presence of at least five military officers, besides numerous gunners. We had no hope of conducting a defence on the spur of the moment. Though we had the Lieutenant's word that he could not punish us in any way, yet he confined us in cells which were eventually condemned by a Lyttelton doctor, and fed on rations which were far from sufficient to keep away the pangs of hunger. We received but two slices of bread, a very small piece of meat, with two potatoes, and one pint and a half of tea. When the young men were released in July 1913, 2,500 supporters crowded into the Colosseum theatre to welcome them home. As each one walked onto the stage he received a huge roar of support. Altogether Thomas Nuttall was prosecuted in August 1911 and February 1912, fined in March 1912, and sentenced to 21 days imprisonment in April 1912. He was deprived of civil rights for three years as well as serving periods of detention on Ripapa Island. God not only enjoined war in the Old Testament, but instances were recorded in which he had taken part in battles on behalf of the children of Israel. In the New Testament Christ said: “I come not to send peace on earth but a sword”. Nuttall: I think that is perfectly true. I have felt the sword of persecution for the past five years. While the board was satisfied that Thomas Nuttall's objection was a genuine 'conscientious objection', because the Baptist Church did not oppose war, Nuttall's appeal was dismissed. His case prompted about 20 people, mostly Baptist, to meet a few days later and plan an appeal to the Minister of Defence, James Allen. It is not known what happened to this appeal. Nor is it known where or when Nuttall served a prison sentence or for how long, but it is likely that like other objectors imprisoned at this time, he served two years of hard labour though his name does not appear on the lists of objectors that were compiled by supporters, nor was he one of the 60 conscientious objectors still in Paparua Prison at the end of the war. 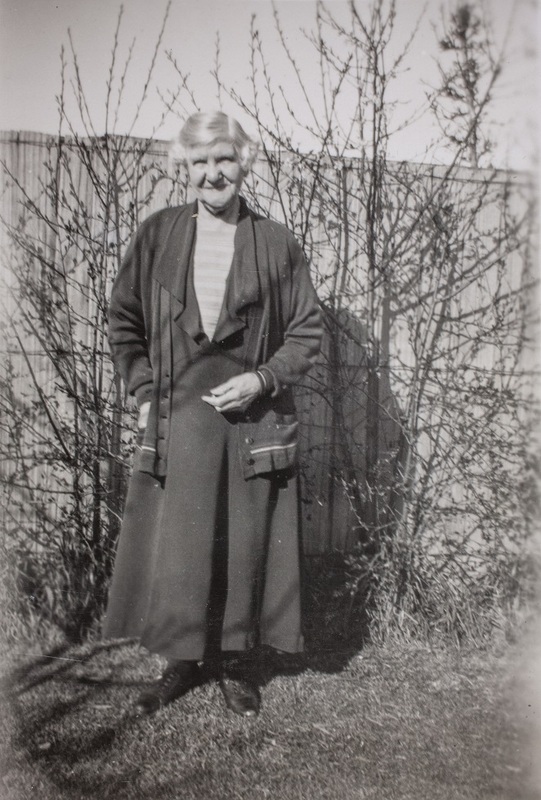 Thomas Nuttall's mother Louisa supported her son throughout, demonstrating her opposition to compulsory military training by becoming involved with the Anti-Militarist League and the Canterbury Women's Institute. She was a regular attender at meetings of the National Peace Council, telling Charles Mackie in 1918 that 'the meetings have always been a very great help to me'. 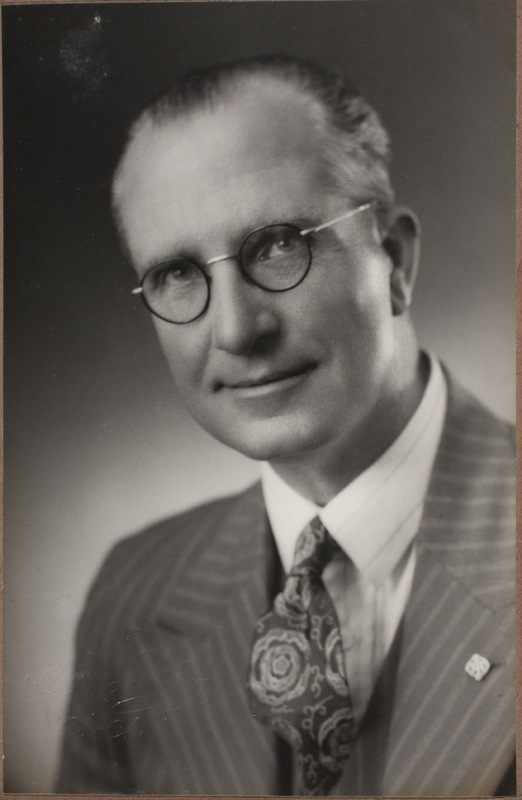 The Nuttall family evidently knew Charles Mackie well through their membership of the Linwood Avenue Baptist Church, where Thomas Nuttall was the Sunday School Superintendent, assisted by his future wife, and Mackie was chairman of the first Board of Control. It is clear from a brief written history of the church that the issue of conscientious objection divided the congregation to such an extent that it 'threatened its very existence'. 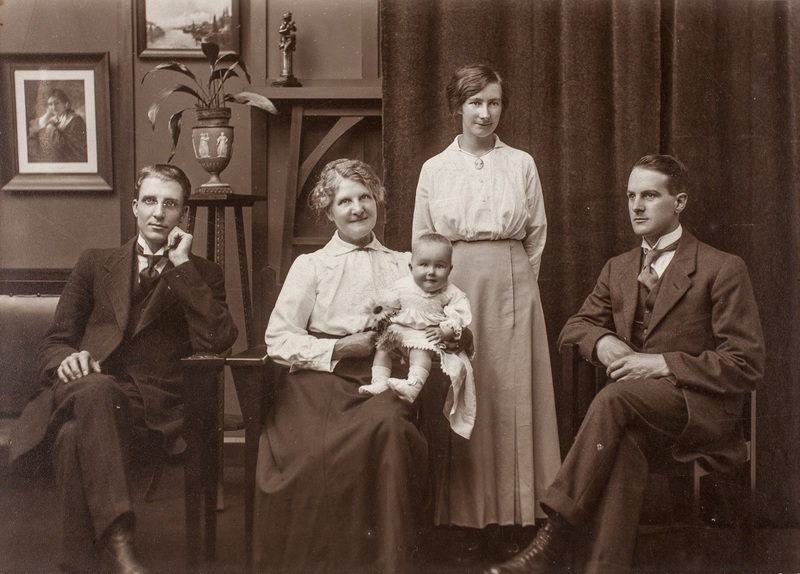 Thomas Nuttall married Maud Burson in 1919 and had three children, Burson, Betty and Ron. 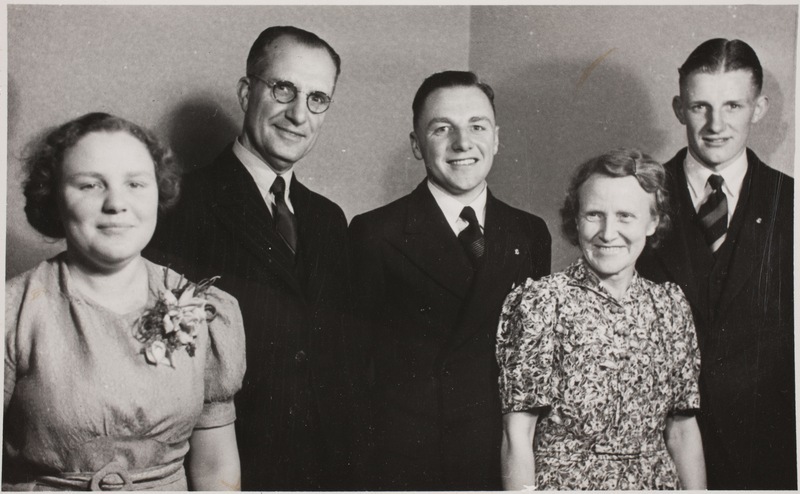 In 1941 Thomas Nuttall supported his son Burson when he appeared before the Armed Forces Board as a conscientious objector, telling the board that his son had been brought up to regard war or any participation in it as wrong. By this time appeals on the grounds of conscience were allowed and Burson's appeal was accepted. Thomas Nuttall died in Christchurch in 1944 at the age of 52. Louisa Nuttall to the Editor, Lyttelton Times, 12 June 1913, p.5. Charles Mackie to Herbert Corder, 19 June 1913, Mackie Papers, Series 177, Box 10, Folder 36, Canterbury Museum, Christchurch; Date of birth supplied by family. ‘Anti-Militarists’, Grey River Argus, 14 June 1913, p.6. Charles Mackie to Herbert Corder, 19 June 1913, Mackie Papers, Series 177, Box 10, Folder 36, Canterbury Museum, Christchurch. List of Court Cases under the Defence Acts in which the National Peace Council has rendered assistance, August 1912 – July 1913, Mackie Papers, Series 17, Box 2, Folder 9; Correspondence between Charles Mackie and P. J. O’Regan, Mackie Papers, 1912 – 1927, Series 8, Box 2, Folder 7; Charles Mackie to Officer in Command of Fort Jervois, 16 July and 22 July 1913, Mackie Papers, Series 351, Box 12, Folder 44, Canterbury Museum, Christchurch. Thomas Nuttall to Charles Mackie, 6 July 1913, Mackie Papers, Series 347, Box 12, Folder 44, Canterbury Museum, Christchurch. 'The Ripa Island Cases', Press, 5 July 1913, p.13. 'Christ for Militarism: Chairman of Board Says', Maoriland Worker, 31 January 1917, p.6. 'Opposed to War: A Religious Objector', Sun, 11 January 1917, p.10. 'Military Service: Conscientious Objectors', Sun, 16 January 1917, p.11. 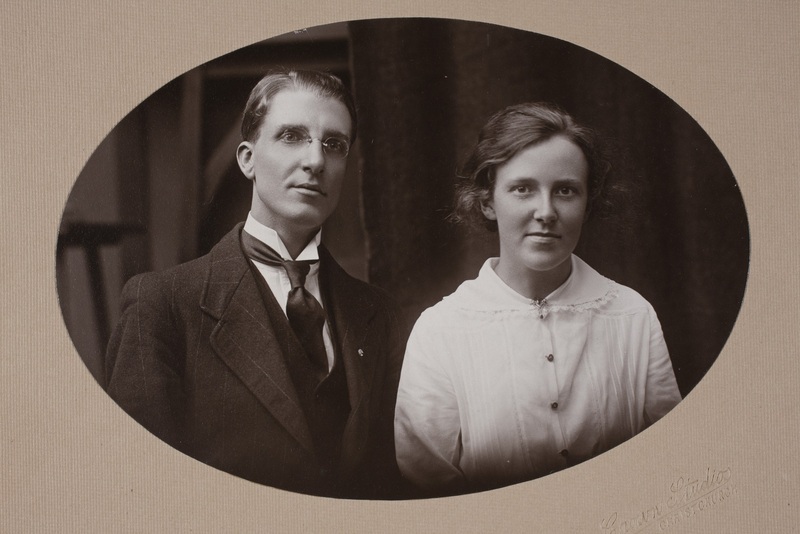 Louisa Nuttall to Charles Mackie, 2 October 1918, Mackie Papers, Series 347, Box 12, Folder 44, Canterbury Museum, Christchurch. Wal Harris and Gerald Tisch, The Linwood Harvest: Linwood Baptist Church 1912 – 1987, (Christchurch: The Church, 1987), pp.10-11. 'Armed Forces Board', Press, 12 July 1941, p.4.